What a scandalous claim! In the original readers’ culture, the claim that an older brother would serve a younger brother was outrageous and disgraceful. But in God’s dealings with people, this sort of role reversal is just the opposite; it is a work of grace (Romans 9:10 – 13). 1. God gave animal skins to Adam and Eve instead of retribution (Genesis 3:21). Adam and Eve deserved death for their rebellion (2:17), but God gave them grace instead. 2. Abel gained favor with God over Cain (Genesis 4:4 – 5). In another example of the younger sibling receiving the grace of God, Abel was granted God’s favor because he brought a simple sacrifice out of faith (Hebrews 11:4), while Cain only revealed his sinful heart in the encounter (Genesis 4:5 – 7). 3. God spared a flawed man and his family by means of an ark. It would be easy to skim over or avoid Genesis 9:20 – 27 due to its awkward and uncomfortable content. It serves as a contradistinction to the man whom the writer first introduced as having “found favor in the eyes of the Lord” (Genesis 6:8). The fact remains that Noah’s favor with God was not because he was or would always be a perfect man. 4. Abraham received a unilateral covenant from God. The ramifications of God’s pledge to Abram in Genesis 15 are vast. From this fountainhead, the rest of the Scriptures pour out. But the history of this blessed man was far from pristine. Joshua wrote that Abram’s father worshiped other gods (Joshua 24:2), and Abram lied to protect himself (Genesis 12:10 – 20; 20:2). God’s grace turns Abram into the father of many nations and a source of everlasting blessing to the whole world. 5. Every narrative of the book of Genesis is covered in the fingerprints of grace. All of these upheavals and role reversals are the handiwork of a gracious God who pours out his favor in order to bring maximum glory to himself. The above article is excerpted from The Jesus Bible, ESV Edition (Zondervan, 2019). Used by permission of Zondervan. www.zondervan.com. All rights reserved. 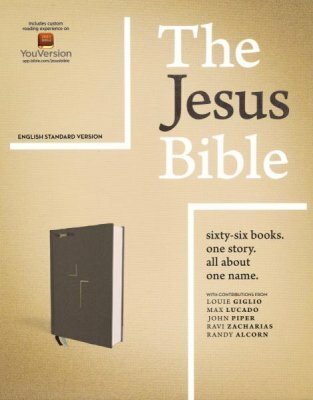 The Jesus Bible is published by HarperCollins Christian Publishing, Inc., the parent company of Bible Gateway.